Multiple vehicles were involved in an accident in Kamp Road in Saldanha Bay earlier this morning. 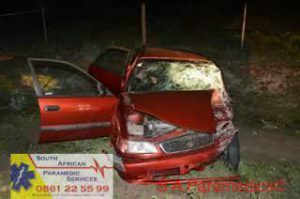 South African Emergency Services treated multiple patients on the scene of the accident. They were assisted by West Coast EMS, West Coast Fire and Rescue, SAPS and other services.